2011 was truly an exceptional year for music. It just took me the better part of the year to realize it. Most years, I’m lucky to stumble across at least four albums deserving of the five-star rating that I seem to award more and more rarely these days. But this year, in addition to the four or five that I knew I had to give instant A’s, there were several more albums that persuaded me to bump them up from a carefully considered B at the last minute as I reviewed them and realized how well thought-out even some of their lesser songs were. Now almost my entire Top 10 is comprised of A-grade material. I’m stoked about that. What has been a year full of personal turmoil, possible the most emotionally difficult of my life so far, will at least contain a lot of beauty and grace when I look back upon it years from now, and a lot of that will be due to the music I fondly remember for helping me to make my way through it all. 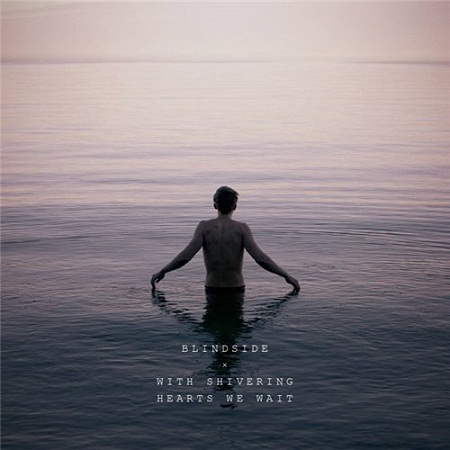 Blindside – With Shivering Hearts We Wait: Come on in… the water’s nice and chilly. In Brief: Rife with volatile energy, and yet surprisingly mature. This may puzzle longtime fans, but I think Blindside has done their best work yet. Spring 2006. Lots of rain that winter made for good hiking in those months. Life was relatively free from turmoil as far as I can remember, so a lot of the songs I chose for this mix, particularly on Disc One, instead identified with the difficulties others around me were going through. Disc Two has a more drawn-out set of mellow songs to wind it down than my mixes usually do, which may reflect my more peaceful state of mind at the time, though it’s in sharp contrast with the heavier material at the beginning of that disc. Figuring out how to transition between the various moods on these soundtracks is a puzzle that I will never completely solve.